A lightweight pressed powder foundation that creates a perfect final touch to any look. It can be applied wet or dry to create a silky, smooth finish. Use it dry to create a soft matte look and apply damp for more coverage. This dual soft -to-touch and talc-free formula works beautifully with all skin tones. Gives a natural, sheer finish. Mattifies skin, controls shine and smoothes skin texture . Can be used both wet and dry. Provides perfect finishing touch to overall makeup look. 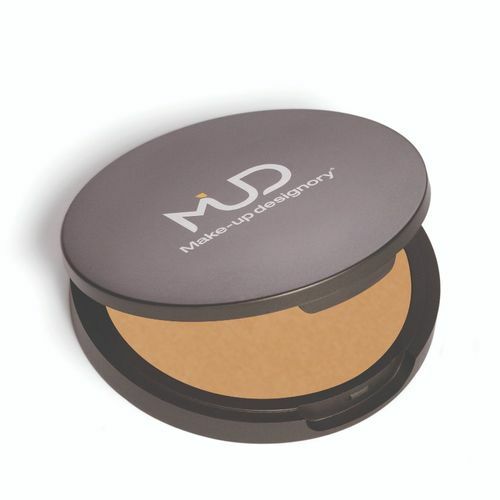 DFD 1 - A light, rich warm brown color/Ideal for lighter dark, warm skin tones. DFD 2 - A dark, warm olive color/Ideal for dark, warm olive skin tones. DFL 1 - An extra-light, warm beige color/Ideal for very light skin tones with little or no olive. DFL 2 - A light, golden olive color/Ideal for light olive skin tones. DFM 1 - A medium, warm beige color/Ideal for medium skin tones with little or no olive. DFM 2 - A medium, golden olive color/Ideal for medium olive skin tones.